If you would like more information Emailed to you, please complete the form below. Make sure to include a correct email address, city, state, and phone number. You may also contact us at 800-473-2485 ext 3. If you’re considering a career as an Ultrasound Technician, the Institute of Ultrasound Diagnostics may be the perfect fit for you. With a wide range of program courses and options available for both residential students and distance education students beginning at various times throughout the year, the time is always right to get started. An intensive accelerated CAAHEP Accredited program designed to equip students with the knowledge and skills necessary to begin a successful career as an Ultrasound Technician. With in-class didactic lessons, one-on-one scan labs, and a diverse range of clinical rotations, students will leave IUD prepared to enter the workforce in a variety of settings. You must meet our prerequisite requirements before admission into our One-Year Program. 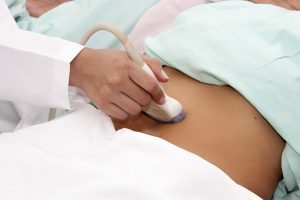 The One-Year Medical Sonography Program is available for both local and distance students. Students can expect to follow an extensive, Monday-Friday full day schedule that lasts from 8:30 a.m. – 5:30 p.m. daily. This is a full-time program. You can also download our application online and apply today! IUD offers a range of program-related classes and short-term continuing education courses for those with experience in related Allied Health Professions. 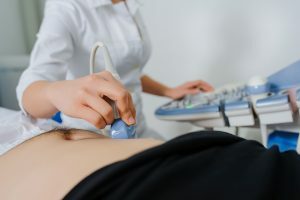 These Cross-Training Programs are not intended for individuals hoping to obtain a complete sonography education, but instead, offer introductory sonography training in normal anatomy for skilled medical professionals. These individuals must be sponsored by their employer before enrollment in IUD’s Cross Training Programs. Upon completion, it is recommended that graduates receive direct clinical supervision for an additional 12 months. One-Week Courses – individual classes offered for continuing medical education credits. If you’re interested in learning more about the programs and courses offered at the Institute of Ultrasound Diagnostics, help is just a click away. Take a moment to fill out the form and select the courses you’re interested in, and IUD will respond with the course-specific information that you’re requesting. Or you can contact us at 251-621-8668 for more information.